Taste of China. Taste the difference! Taste of China has been offering outstanding Chinese cuisine since 1990, with locations in Naperville and Plainfield to serve our customers. We offer the highest quality Chinese food with authentic taste. We offer take-out, delivery, and catering for special events. We have professional staffs ready to serve your needs. Our showcases in each location are the clean, open kitchens with the state-of-the-art equipment. We offer many varieties from Cantonese style, Hunan, Mandarin, Szechwan and Thai. 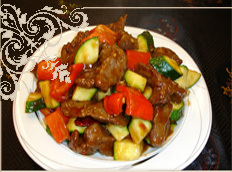 Our specialties are Orange Chicken, Mongolian Beef, Fried Rice, and Noodles like Pad Thai. We trust you can find your favorites, or new ones, from Taste of China. This is a family-owned and operated business with over 35 years of restaurant experience. Make the right choice, Taste of China, taste the difference!